We found this unfortunate fellow just outside of the village today, likely the victim of a collision with a car either last night or early this morning. Closer inspection suggested it was an adult male stoat, a species we have seen very occasionally around our patch of the Rib Valley over the years. Stoats are members of the Mustilidae family, a group that includes the native weasel, badger, pine marten and otter as well as the introduced mink. It’s latin name is Mustela erminea. The latin mustela translates as mus – mouse and telum – spear, giving us ‘spear-like mouse’. The origins of erminea relate to ermine, the historic english name for the stoat and for it’s winter coat – pure white with a black tip to the tail in snow covered latitudes. The fur was highly sort after in the fur trade and a favourite of nobility and royalty. The word itself is found in middle english and possibly derived from the old french (OF) hermine, old german (OG) hermelin or late latin (LL) armelinus. 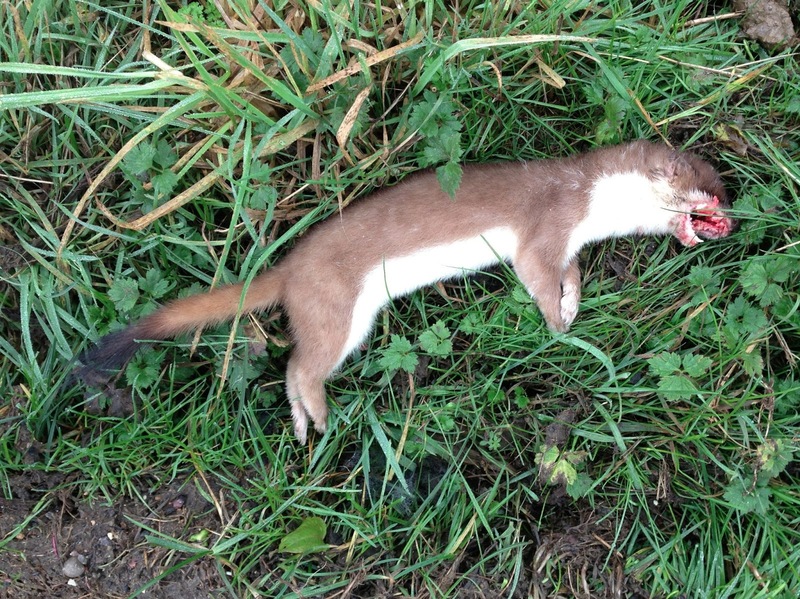 The stoat is a carnivorous predator of birds, rodents and particularly rabbits. It has the capability to take a kill significantly larger than itself, carrying it’s prey to cash for later. Native to Eurasia and North America, it was introduced to New Zealand in the 19th Century for the very purpose of controlling the introduced rabbit and rat population with the unfortunate and still present consequence of also taking many of the native flightless birds and parrots. With no such concerns here, I hope the next time I see a stoat it is very much alive. Mustela erminea, roadkill, stoat. Bookmark.